If you try to explain to someone what ACF-50 can do, it just sounds like snake oil. A corrosion protectant that can last up to a year; a microscopic coating that stays fluid and penetrates into fastners; it kills existing corrosion; it neutralises road salt; it’s ideal for electrical connections and it even brings up matt black paint finishes and unpainted plastics beautifully. To be honest, it sounds like something that you’d find being shouted about from a stall at the local market. But it works. Really well. It’s designed for the aviation market – somewhere that corrosion can be a far more serious issue than on our bikes. It comes in an aerosol can for £15, or in a 950ml bottle with a handy spray dispenser for £30. The aerosol is 95% product, so there’s little wasted space for propellant, though you do need to give it a good shake and make sure the can’s warm to stop it coming out like shaving foam (this is due to the propellant being non-flammable – the needs of aircraft again). For most people, this is the most convenient way of buying ACF-50, and one can should easily last you a year. You can wipe it in with a cloth if you get a little too much on, but do keep it away from brakes and tyres, including the inner rotors of brake disks – it stays liquid, so centripetal force will fling it out onto the braking area. I tend to use the 950ml bottle most – being a bit OCD about looking after my bikes, I spray it on with a paint gun and compressor, misting it under the tank and in all the nooks and crannies. The spray bottle that comes with it is handy, though I’m not keen on the way it produces a jet, rather than a mist. It transforms the look of unpainted plastic and matt-finish metal, such as brake calipers (wipe only a tiny amount on with a rag), but it’s the anti-corrosion performance that matters most. I carried out several tests throughout the winter using sheets of bare steel left out in the garden, and strapped to the front of my car. ACF-50 outperformed every product I could compare it with. 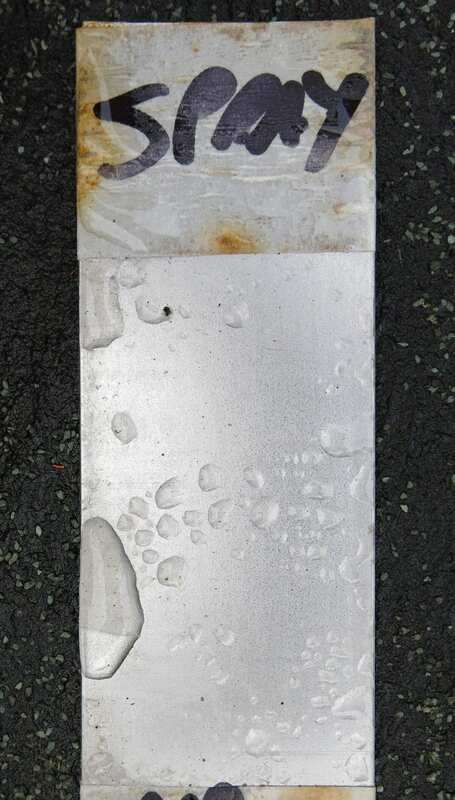 Interestingly, while only a thin film is needed to work, I did find that the very best protection was given by the little spray bottle that comes with the 950ml size – the steel with this thicker coating is still rust-free after almost six months outside. It’s not a complete miracle-worker – if sprayed into the hidden areas of your bike it will undoubtedly offer protection for up to a year or more, but the more exposed areas that are getting constant abuse from rain and salt (like my test pieces) will need spraying again – especially the vertical surfaces. Being petroleum-based, it’s also not suitable for use on natural rubber (it can cause it to swell). You could treat it with a silicone spray first, but typically there’s very little – if any – on a modern motorcycle to worry about. ACF-50 is easy and quick to use, and even if you ride every day and top it up every couple of weeks, you’ll get several months out of one can. 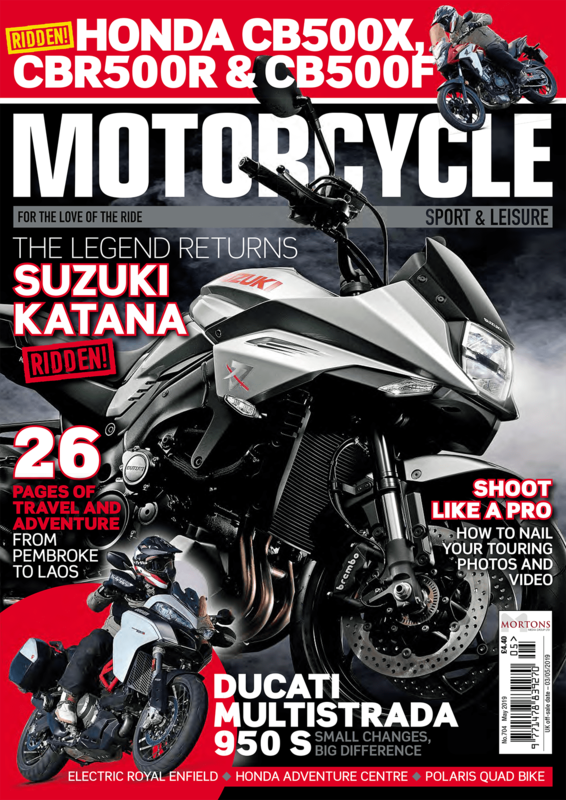 Like many riders, I used to give the bike a dusting with good-old WD40 – there’s no denying it’s a useful spray, but the large solvent content isn’t good for your bike… to be fair, this isn’t what it’s designed for. 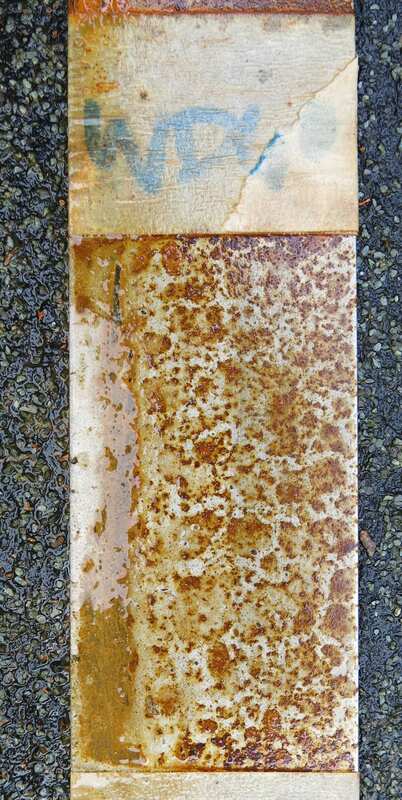 Which was proven when all my test samples rusted long before those coated with ACF-50. 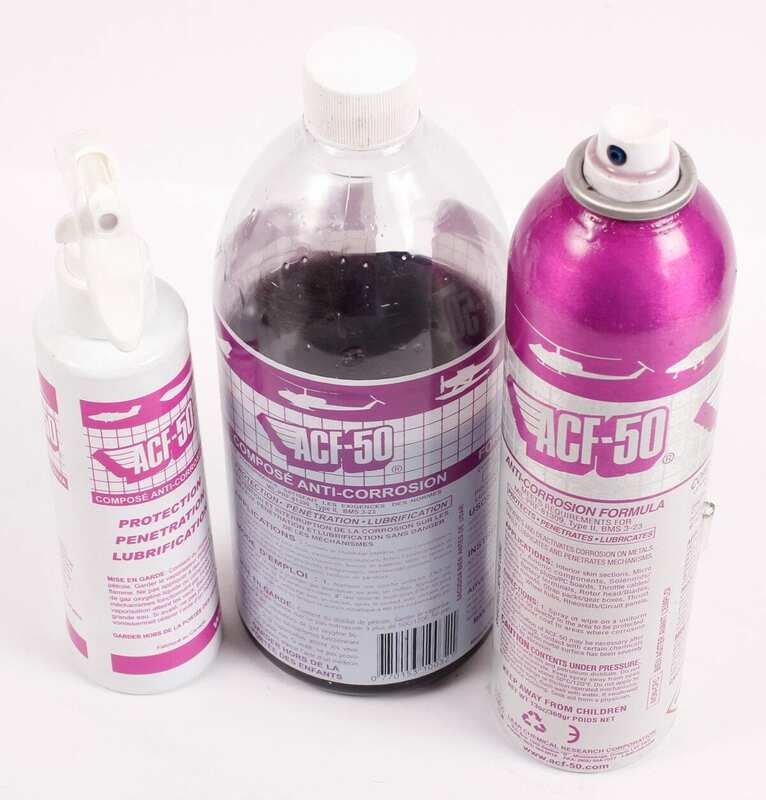 If you want to get your bike professionally treated with ACF-50, it’s worth booking allyearbiker.co.uk – for just £65 you’ll get your bike thoroughly cleaned then fully coated. I also use Corrosion Block grease on all my bolts and bearings, which has the same anti-rust formula, and resists washing out – when I used to ride off-road it did a great job of protecting my bike’s suspension linkage. I know it all sounds too good to be true, but in this case, it really is as good as it’s claimed to be. That visual representation you have made of the results is excellent. Brings up super shine on dulled paint and scratchy plastic too as you said. Great review of a great product. The way you have explained with those picture perfectly explains everything.Corrosion is very harmful .It can make your bike or any other machines useless if not taken care in initial stage.Thanks for your reviews about the methods.Keep posting such article.